Aide to former president Goodluck Jonathan and pastor, Reno Omokri has taken to Facebook to mock Northern Youths for giving a three months ultimatum to Igbos to vacate the region. 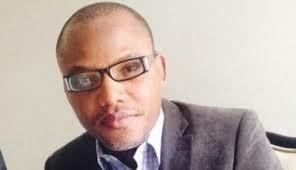 He compared the Youth group to the leader of the Indigenous People of Biafra, Nnamdi Kanu. If you want to show you have influence, don’t give ultimatums. Simply declare a sit at home and see if people obey you like Kanu was obeyed. Leadership is influence. If you have to threaten people to show your influence, then you have no influence. Those with influence don’t threaten. Influence is when people willingly obey you even when you have no position, no money and no army. Influence is when people obey you because they believe in you.